What: A recovering lawyer, antique dealer, and writer. 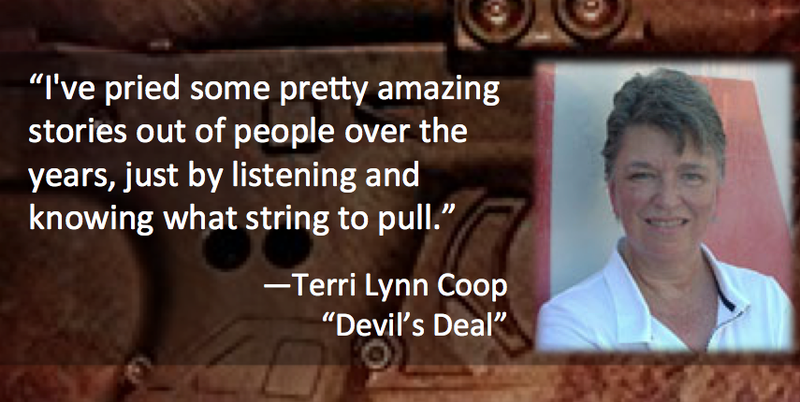 Her first novel, a legal thriller called DEVIL’S DEAL, is available via Amazon. Her work has appeared in several anthologies, including the upcoming JUST TO WATCH THEM DIE—STORIES BASED ON THE MUSIC OF JOHNNY CASH. She is also the host of the multi-genre talk radio show, “The Blue Plate Special,” part of the Authors on the Air Global Radio Network. Congrats on the launch of “The Blue Plate Special Podcast.” What was your inspiration to create this show? 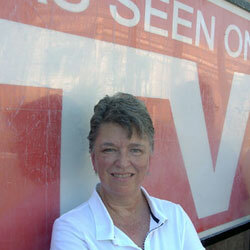 The Executive Producer, Pam Stack, invited me to pitch ideas for a show. There were already several genre specific shows for mystery, thrillers, romance, etc. 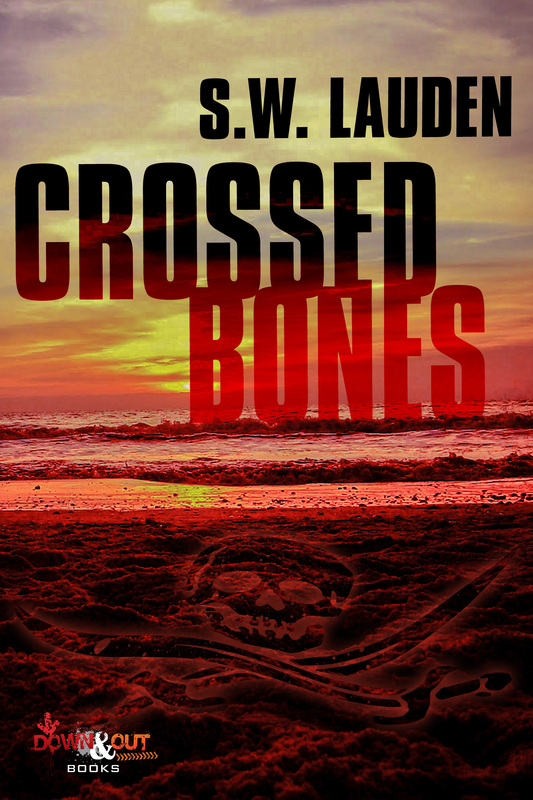 I’m a big cross-genre reader and didn’t want to limit myself. So, I conceived the idea of a multi-genre show where it might be sci-fi one night and police procedurals the next. The name came from my love of old-school coffee shops and my insane collection of vintage restaurant china. The “blue plate special” traditionally was a rotating menu item, usually offered at a lower cost. You never knew exactly what would be served on any given day. Are you also a big podcast listener? What are some of your favorite podcasts? I work at home in my antique and collectibles mail-order business. When I’m digging through the garage trying to find some elusive item, I listen to audiobooks or podcasts. My favorites are from some of my fellow hosts such as “Noir on the Radio” with Greg Barth and “Practical Prepping. Period,” with Randy Powers. Why do you think podcasts are so popular with crime and mystery writers? Podcasts are nerd heaven for crime and mystery writers. We love books, we love authors, and we keep weird hours. Podcasts are on-demand geekiness where we get to listen to our favorite writers from blockbuster to mid-list to small press and indie any time we want. Instead of a few minutes on a panel at a conference, we can listen to the host delve into the details of characters, books, and the author’s writing process. A good podcast interview takes on a life of its own. Is there anything about your background as a lawyer that prepared you to be a podcast host? Mostly just comfort with public speaking. I was trained in a prosecutor’s office where you’d get handed a file, a list of witnesses you’d never met, and told your court date was in 40 minutes. Couple that with questions out of left field in a live courtroom setting and you get pretty nimble on your feet. Plus, a lawyer is trained to ask leading questions that give the interviewee cues. I’ve pried some pretty amazing stories out of people over the years, just by listening and knowing what string to pull. Finally, I’ve done a fair job of eliminating verbal tics such as “uh” and “um.” I’m not perfect by any means, but once you’ve read one of your own transcripts . . . every one of your bad habits is in living glaring color. All of that combined makes an interview flow. 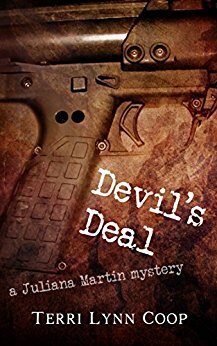 You’ve published short stories, a novella and, most recently, the first Juliana Martin mystery, DEVIL’S DEAL. What inspired you to become a writer? Like most, I “always wanted to be a writer” (*starry eyes*). Being a lawyer, especially a criminal defender, I was surrounded by amazing and outrageous tidbits every day. You can’t listen to a prosecutor say something like, “And that’s when the defendant lit the moth on fire . . . ” without starting to spin stories in your head. Words were my business then and I’m working on making words into my business now. I’ve been complimented on my touch with dialogue. I think it’s because I have not only talked to so many people, adjusting my tone and delivery to make them more likely to talk, I’ve also had to be acutely aware of what I said in court. There are few second chances. Your novella, SALT, is a sci-fi story set in the world of Hugh Howey’s SAND. How did that come together? 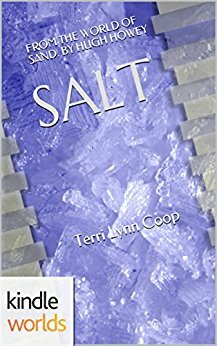 SALT is a Kindle Worlds project. KW is a program of sanctioned fan fiction. A writer can register their book universe with KW and other writers are free to write stories in those worlds and sell them. The writer and the world owner get a cut. It’s a great program that recognizes the value of fan fiction and provides a forum for people to expand and explore fictional universes while protecting the intellectual property rights of the original writer. And, of course, Amazon skims some off the top. It’s a win-win-win. Writers like Hugh Howey and Steve Konkoly are very generous with their worlds. It’s a lot of fun and perfect for the novella format. A lot of the world-building is already done and the writer can concentrate on the story. Any particular challenges for you switching between the mystery genre and sci-fi? Do you prefer one genre over the other? All genres come down to one thing—compelling characters doing interesting things and escaping peril. With my ear for dialogue, I can set up characters anywhere. The challenge comes in the expectations of setting. Each has rules, but those rules can certainly be bent and even broken as needed. There’s nothing stopping me from throwing my sci-fi characters, Jones and Cain, into a dystopian post-apoc court of law. I may do that. It is interesting to explore what the, you know, destruction of everything we’ve ever known, would do to the justice system. Like most writers, it’s about trying to leverage initial success into a paying proposition. For 2017, I made the vow to finish all my WIPs, even if they never see the light of day. I’ve got a short historical romance in editing, a dark mystery in the works, and the second book in the DEVIL’S DEAL story arc on the table. I am working to build The Blue Plate Special into a podcast that writers want to be on, all the while shilling out antiques and collectibles. And then there’s house work . . . Thanks for the chance to talk! It’s what lawyers and writers do best. This entry was tagged #amreading, #interview, #qanda, Blue Plate Special, Devil's Deal, Hugh Howey, Kindle Worlds, podcast, podcasting, Salt, Terri Lynn Coop. Bookmark the permalink.